When it comes to your baby, safety should be one of your top priorities and this includes having a safe place for your baby to sleep. Even if the crib you chose while your baby was a newborn checked out fine, problems are occasionally found and recalls are issued. It's important to stay on top of the latest recalls and other safety issues with cribs so you can make sure that your baby sleeps safely and soundly. While most cribs are problem-free, some models feature faulty hardware or parts that can pose hazardous risks to infants and toddlers. When this occurs, manufacturers issue recalls that notify consumers of potential serious injuries associated with particular crib models. The U.S. Consumer Product Safety Commission's Crib Information Center provides the latest information about crib recalls and other product safety news. Signing up for e-mail alerts will help you stay on top of the latest recalls and safety issues related to cribs. You can also report safety incidents to the Crib Information Center. In addition, filling out and registering the product safety information card when you buy a new crib will allow you to receive recall alerts by mail or through e-mail. While many recalls are small, some affect thousands of cribs. 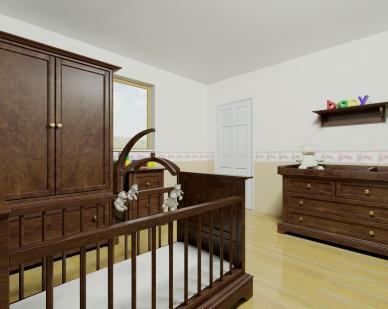 Knowing about the major recalls can help you avoid buying a defective used crib and may provide you with information about what types of cribs to avoid when looking for a new crib. In March 2011, Delta Enterprise Corp. re-issued the 2008 recall of more than 985,000 crib models with the "Crib Trigger Lock and Safety Peg" hardware component. The Land of Nod, manufactured by Status Furniture, issued a recall of 300 "Rosebud" cribs. This model features a drop-side rail that has hardware known to occasionally break or fail. Pottery Barn recalled all drop-side cribs made from 1999-2010 because of entrapment, suffocation and fall hazards. In October 2010, multiple manufacturers recalled cribs because of faulty drop-side hardware. The large recall included Victory Land Group for about 34,000 Heritage Collection 3-in-1 drop-side cribs, Angel Line for 3,400 Longwood Forest and Angel Line cribs, and 3,250 Ethan Allen drop-side cribs. The largest drop-side recall took place in June 2010, when the U.S. Consumer Product Safety Commission recalled over 2 million drop-side cribs, including: 750,000 Evenflo Jenny Lind cribs, 747,000 Delta Enterprise Corp. cribs, 306,000 LaJobi Bonavita, Babi Italia and ISSI brand cribs and 130,000 Jardine Enterprises cribs. Companies such as Graco, Simplicity, and Stork Craft also recalled cribs because of the drop-side issue. As a result, many large corporations no longer manufacture or sell drop-side cribs and the CPSC began to prohibit traditional drop-side cribs as of June 28, 2011. A few different cribs have been recalled because of unstable mattress supports. When the mattresses falls, infants and toddlers can be badly injured or suffocate. In February 2011, IKEA issued a recall for more than 26,000 SNIGLAR cribs sold in the U.S. and Canada because some of the mattress bolts were not long enough to support the mattress, causing the mattress to detach and collapse. From 2007-2010, many Simplicity cribs were recalled because the mattress support frame could bend or collapse and cause a suffocation risk. In 2010, Delta Enterprise Corp. recalled cribs using a wooden stabilizer bar over concerns that the bar would not provide adequate stability and cause the mattress to collapse. Parents who learn that their cribs are affected by a recall should follow several steps to prevent injury or harm to their babies. First, immediately discontinue use of a recalled crib. Check the crib to ensure it was installed correctly and to determine if you need updated hardware. Never try to repair a recalled crib yourself. Strictly follow the manufacturer's or CPSC guidelines on what to do. Some companies will send you a free repair kit or replacement parts for the faulty hardware. After you've conducted the repairs, test it out before your baby uses it again. Keeping Babies Safe, an organization dedicated to child product safety, notes that over 11 million cribs have been affected by recalls in just the last few years. The organization provides tips for parents who are using recalled cribs to help make babies safe, including only using manufacturer-provided parts to fix recalled cribs and making sure the crib is not missing any bolts, screws or other hardware. If the manufacturer does not provide a fix for the recalled crib, it is best to play it safe and purchase a new crib for your infant or toddler. Even though cribs are expensive, it is best to buy a new crib for your baby. If you plan to use a used crib, get it from a reputable consignment shop or through a friend, and verify the crib has all of its pieces. Cribs missing slats, screws or bolts or that are cracked are not safe for your baby to use. Always test a crib before you put your baby in it to make sure you're not putting your child at risk.